It will be a moment of heart rendering emotions when yesteryear superstars are remembered. When a current superstar attends an event to commemorate the late veteran and shares the relationships between the two, everyone is bound to be moved. 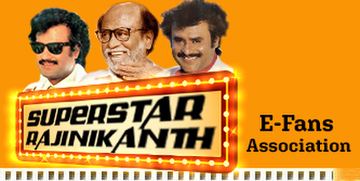 And when our beloved Superstar Rajinkanth is part of the exercise it makes it more and more special to us. Rajini who traces his roots to Bangalore and also Kannada film industry was emotionally charged. He spoke at length and reminisced the moments he spent with the acting legend. �I have taken only one autograph in life and that is of Dr Rajakumar� Rajinikanth stated amidst a thunderous applause. Undoubtedly the best speech on Dr Rajakumar memorial inauguration came from Rajinikanth in his flawless Kannada. �I had taken the autograph of Dr Rajakumar when I was 11 years young near the Kempambudi lake in Bengaluru� stated Rajinikanth. Exhibiting his reverence and respect for the senior actor, Rajinikanth is his usual modest self started narrating the story: �In 1927 Lord Brahma created a drop in the clouds and left it came on the grounds in Gajanur � that is the birthplace of Dr Rajakumar. This person sat on a horse and in the art of cinema starting from 1954 �Bedara Kannappa� acted in social, mythological and historical films. He continued even in Bond films. This �Saraswathi Putra� Dr Rajakumar, the �Vana Devathe� was also wanted to see. Dr Raj was kidnapped and kept for 108 days. Later the God said come and stay with me �� Rajinikanth with no written words, came out brilliantly. Recalling his walking time experience with Dr Rajakumar at Tata Institute, Rajinikanth said �the car we were travelling got some problem. Both of us got down. Looking at Dr Rajakumar from 3 years to 90 years of age at the morning walk said �Namaskara� and �Hai� to me. Further walking down with Dr Raj, I asked why �Namaskara� for him. I am bit old and the �Saraswathi� they find deserves the �Namaskara� not myself he pointed�. Rajinikanth said he got the answer of his lifetime with that. �You are young Rajini and that�s why people said �Hi� for you Dr Raj had told on that memorable day of Rajnikanth. �Dr Raj completed his work on earth as good personality, good father, good husband, good artiste � what else is required� exclaimed Rajinikanth. Drawing his attention on Dr Rajakumar Memorial Rajini said it would be a temple soon and miracles would definitely happen � �Idu Sathya Sathya and Sathya (this is true, true and true)� he reiterated. I see a �Rishi� Dr Rajakumar sleeping at memorial pointed Rajinikanth for applaud again. �People come here for the memorial should think of their duties in an honest way. They would fulfill� the Superstar ended it on a optimistic note. Rajinikanth released a photo feature book �Raja Muthu� on this occasion .Later Rajinikanth and Chiranjeevi were presented special bouquet .